Features: High quality 2 layer dress. 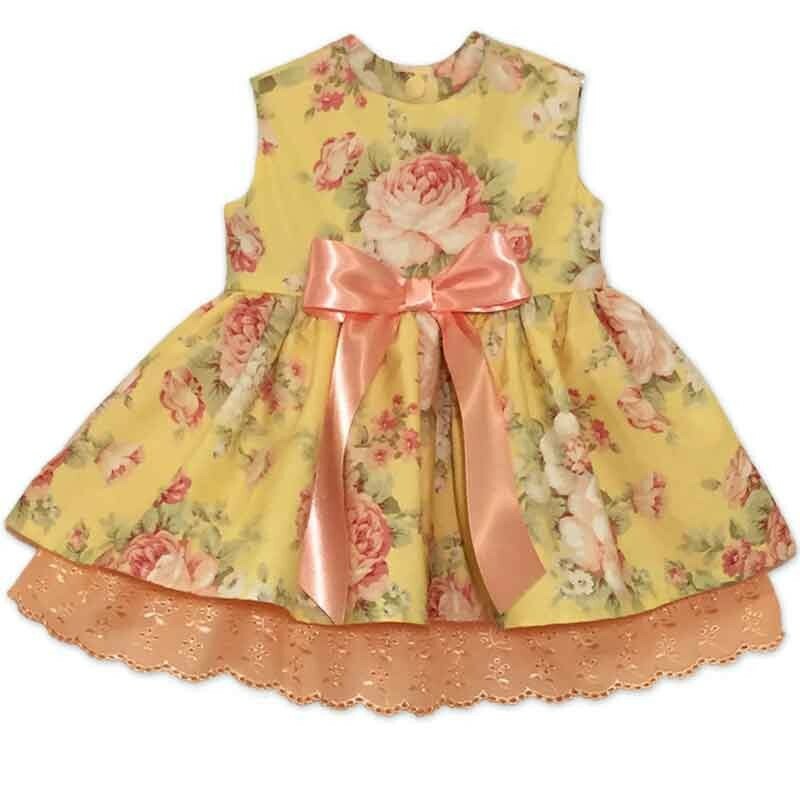 The top layer is a beautiful yellow floral cotton fabric. The under layer is peach eyelet with a pretty scallop bottom. It's the perfect combination! The peach ribbon bow adds extra cuteness! Snap back closure.